BEIRUT (Reuters) – A suicide car bomber killed four people at a checkpoint in a Kurdish-controlled area of northeastern Syria on Tuesday, the Syrian Observatory for Human Rights said. A Kurdish official confirmed an attack targeting a checkpoint operated by the Asayish Kurdish internal security force, but had no further details. The Asayish could not immediately be reached for comment. Observatory Director Rami Abdulrahman said the attack took place near the village of Tel Tamr, some 30 km (19 miles) from the Syrian-Turkish border. 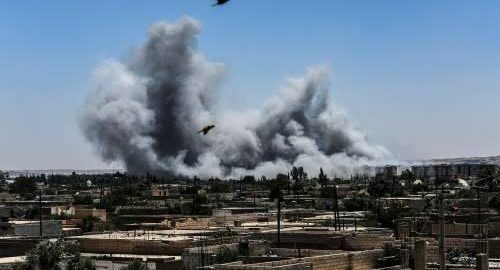 Syrian state TV also reported the deaths of four people in a car bomb attack in the area, but said it had taken place in the nearby town of Ras al-Ayn. The area is dominated by the Kurdish YPG militia, the main partner for the U.S.-led coalition in its campaign against Islamic State in Syria. The YPG is spearheading an assault to capture the city of Raqqa from Islamic State.